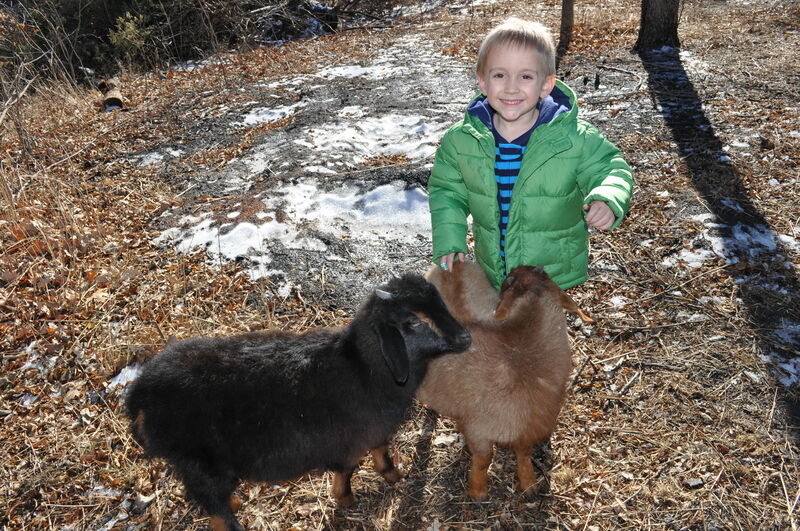 We have added to our goad herd with four Black Spanish goats. They are SO CUTE. 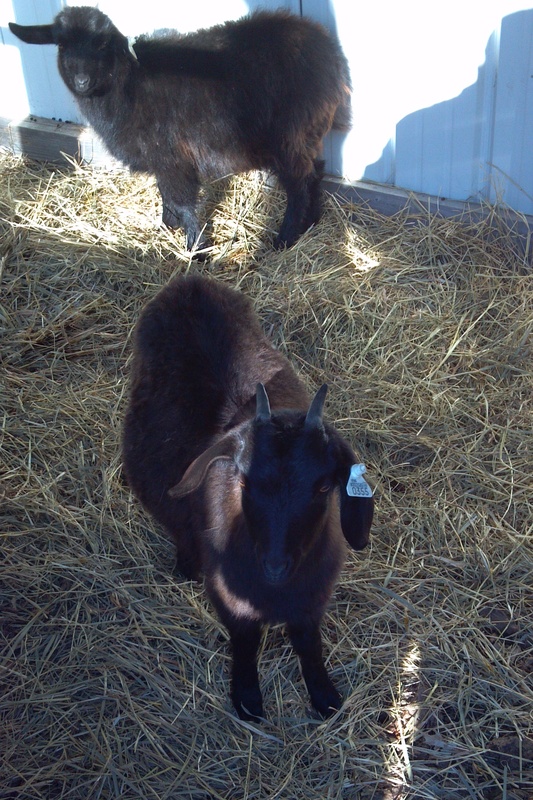 We got these particular goats because they have been bred specifically for their cashmere wool. So, this spring, we will be able to harvest some of their fleece. We have a little work to do, taming down these two. The one in the back is Double Stuff, because she is the fuzziest, and the other one doesn’t have a name yet. Maybe Queenie? Just not sure. 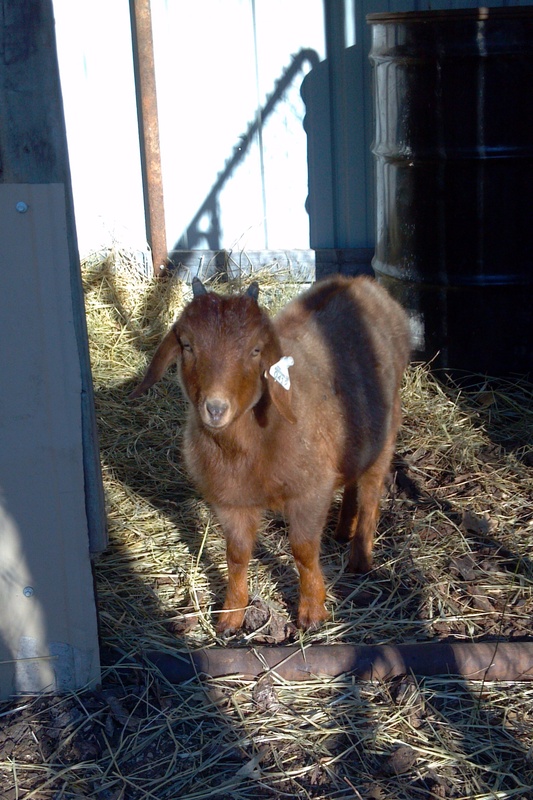 We have been discussing naming her Queenie, as she seems to be challenging Gertrude for the “queen bee” post. 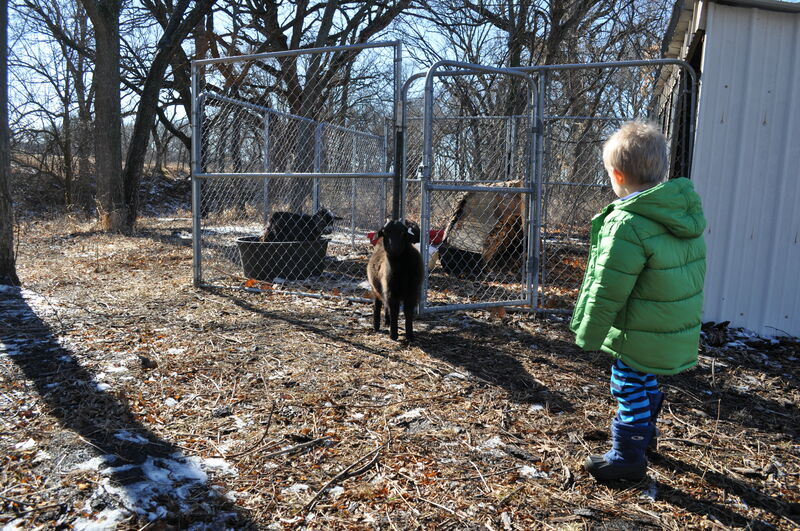 Remember Gertrude, the wayward goat we took in? Turns out she’s kind of a jerk. 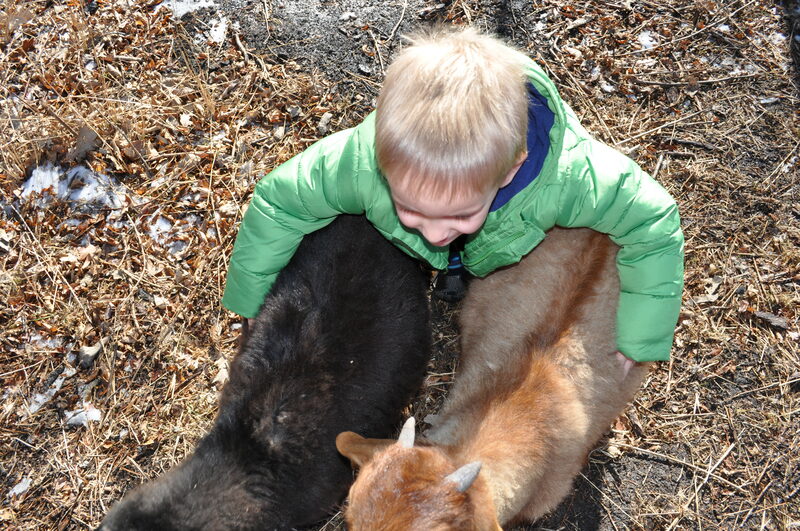 Not to people, but boy is she mean to our little fuzzy baby goats. I think we are going to have to build a separate pen for her. 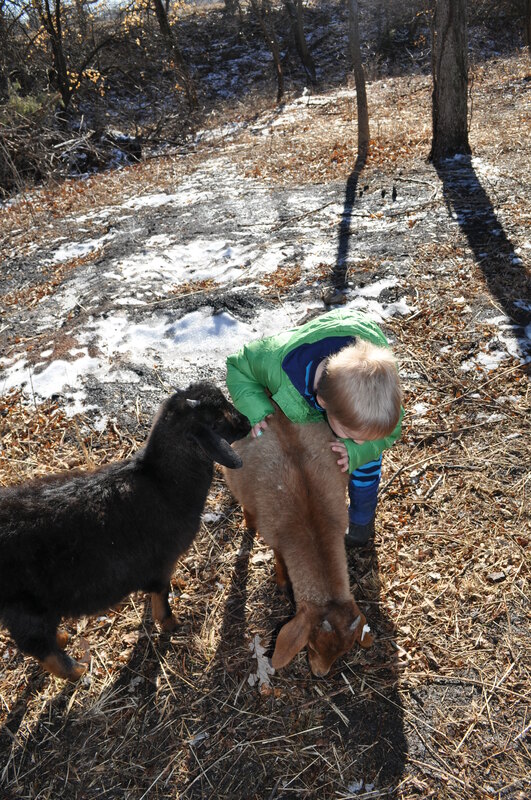 Playing with the goats during Christmas vacation is fun! Queenie trying to decide if she is brave enough to come see us. 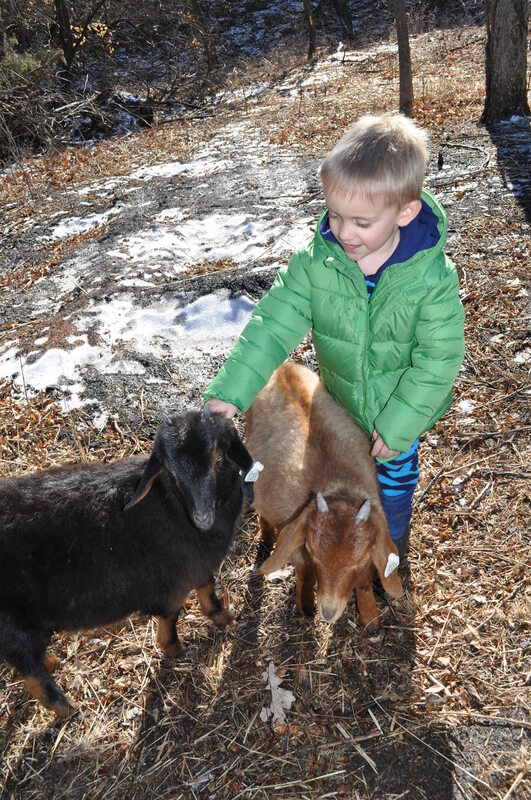 We love our fuzzy little goats! !